The District Salmon Fishery Boards have statutory powers to appoint water bailiffs to enforce salmon fisheries legislation in Scotland. Bailiff’s powers are extensive, and include powers of seizure, detention entry and search and are similar to the powers of constables. Fisheries Management Scotland have established a Fisheries Enforcement Committee to consider a range of matters relating to fisheries enforcement across Scotland. It is essential that prospective bailiffs fully understand the extent of their powers and the circumstances under which they may be used. For this reason, Fisheries Management Scotland and the Institute of Fishery Management (IFM – Scottish Branch) have developed and actively promote a training module designed for bailiffs in Scotland to ensure appropriate accredited training is provided before prospective bailiffs are formally appointed and can operate in the field. 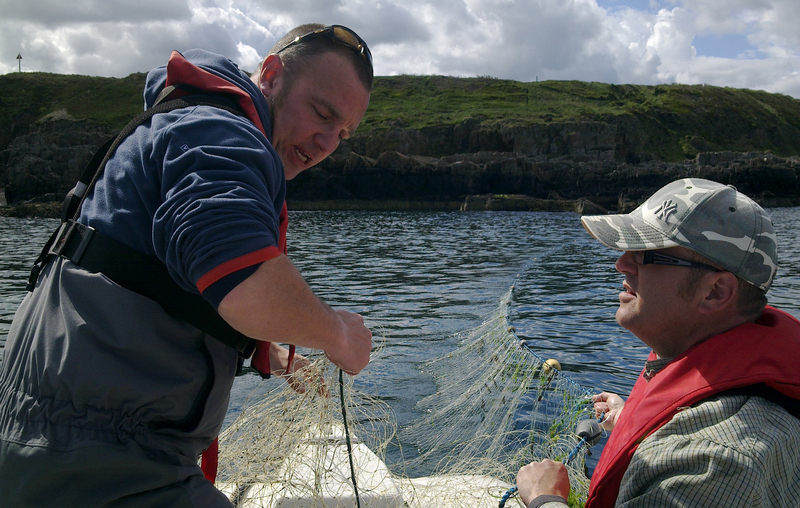 Fisheries Management Scotland has agreed a policy with its members to ensure that no bailiff should be appointed without having successfully completed the bailiff training programme. In the areas of Scotland where District Salmon Fishery Boards have not been constituted, Scottish Ministers appoint water bailiffs, and the same training requirement applies in these areas. Fisheries Management Scotland operates a national warranting scheme for all bailiffs appointed in Scotland. We supply hard plastic warrant cards which are secure, and certify that the warrant holder is successfully accredited through the IFM Bailiff Training module. This system aims to ensure that all bailiffs appointed by DSFBs in Scotland have the same standard of warrant card nationally, and that the cards certify accurately that the holder is certified through the IFM training module. The cards display a secure digital photograph, digital signature and name of the DSFB on whose authority it is granted. Fisheries Management Scotland produce cards on behalf of DSFBs and the Scottish Government, on the appointment of new bailiffs, or when new warrants are issued to existing bailiffs. The Association of Salmon Fishery Boards and IFM have recently produced a standardised bailiff notebook. Consistent and methodical incident and offence recording is critical to effective law enforcement, and the notebook is the core foundation of any evidence that a bailiff may have to submit in court. The notebook is currently being issued to all DSFBs and will also be issued to bailiffs operating out-with the Board network. Specific guidance for the use of the notebook has been produced. Fish poaching, (together with deer poaching and hare coursing) have now been formally classified as wildlife crimes since 2009 when the Partnership for Action Against Wildlife Crime (PAW) identified 7 wildlife crime priorities – one of which is poaching. 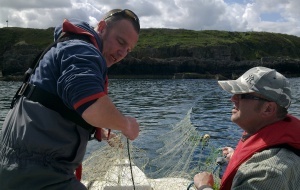 Fisheries Management Scotland are represented in PAW – a group that brings together the Police, HM Revenue and Customs, representatives of Government departments, and voluntary bodies that have an interest in wildlife and land management. PAW’s main objective is to support the Police Wildlife Crime Officers (PWCOs). Another objective of PAW is to draw attention to the growing problem of wildlife crime and to raise awareness of the need for effective law enforcement. For this reason, Fisheries Management Scotland has provided input to PAW’s poaching sub-group, which has produced an action plan to tackle poaching and hare coursing. As a direct consequence of this work, fish poaching is now being dealt with at a higher level by Government agencies, including the National Wildlife Crime Unit and Police Scotland. This process has been developed in partnership with Government, the policing authorities at the highest strategic level, and by a growing network of dedicated PWCOs. At a more local level, one of our priorities is to improve the links between the network of water bailiffs and the PWCOs. Sound relationships have been developed between these groups in recent years, allowing for much improved co-ordination on enforcement activity relating to poaching. Bailiffs and PWCOs have also had close involvement with, and given presentations and guidance to the Annual bailiff’s conference. This naturally leads to a much greater understanding of the issues involved, and some very worthwhile training on fisheries law enforcement has been provided by our bailiffs to the police. Helping to inform and influence the Wild Fisheries Reform process in relation to fisheries enforcement and compliance. Working with IFM, Scottish Government and others, promote the continued professional development of fisheries enforcement staff in Scotland. Co-ordinate the delivery of the annual bailiff’s conference. This allows the networking of the national bailiffing force to allow information exchange and sharing of best practice. Delivery of briefings and training sessions for prospective bailiffs. This also extends to local training sessions for police officers who are unfamiliar with salmon fisheries legislation. Production of standard ‘tools’ to improve consistency in enforcement. This includes standard issue notebooks, guidance on the law and guidance on good operational practice. Developing strong partnerships with other enforcement agencies – this includes the Partnership Against Wildlife Crime (PAW) and the National Wildlife Crime Unit (NWCU). The Group has now been merged with the Scottish Government’s Regulatory Enforcement Working Group, and this group will take forward a range of work-streams relating to informing the WFR process as it relates to enforcement and regulatory matters.